Temporomandibular joint disorders, or TMJ/TMD, involve disorders affecting the joint used to open and close the mouth. The source of the disorder can be due to the musculature, the bone, the joint or all three. When the jaw joint does not work properly, it can cause radiating pain, discomfort, malfunctioning of the jaw and other related symptoms. At Torrance Oral Surgery and Dental Implant Center, we offer diagnosis and treatment for TMJ to give our patients relief. 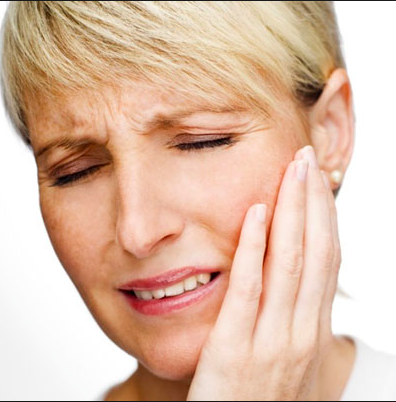 TMJ is often caused by jaw misalignment, putting excess stress on the jaw joint. In some cases, orthodontics can treat and fix bite misalignments, helping relieve the symptoms of TMJ. However, if the misalignment is more complex, oral surgery may be required to straighten the jaw and allow it to function correctly. It may require the expertise of an experienced oral and maxillofacial surgeon to find the best treatment to relieve TMJ symptoms and protect the teeth and jaw from further damage. TMJ is often misdiagnosed due to the wide array of symptoms it can produce. Typical symptoms of TMJ disorders include pain with function, limitation of jaw movement and joint sounds. However, many people experience other symptoms that are not located at the jaw, including ear aches, headaches, neck pain and facial tenderness. It is important when such symptoms present themselves, to receive an evaluation by an oral and maxillofacial surgeon. A consultation will usually involve a panoramic x-ray of the jaw and an evaluation of your jaw function. At times, further imaging (MRI or CT Scan) may be required to obtain further details. If you have experienced symptoms of TMJ or been diagnosed with a TMJ disorder, contact our team at Torrance Oral Surgery and Dental Implant Center to schedule an exam and consultation with Dr. Benjamin Yagoubian.